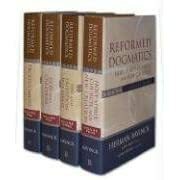 Colin Adams at Unashamed Workman has posted a massive listing of resources and audio related to sermon preparation, including audio by Packer, Stott, Carson, Dever, Piper, Doriani, Begg, Keller, Lawson, Hughes, Azurdia, MacArthur and many others. Many thanks to Colin Adams for putting all of this together for us. Monergism has updated it’s listing of Don Carson audio, adding a handful of new titles. If you haven’t visited Monergsim, they have a huge library of mp3 files.